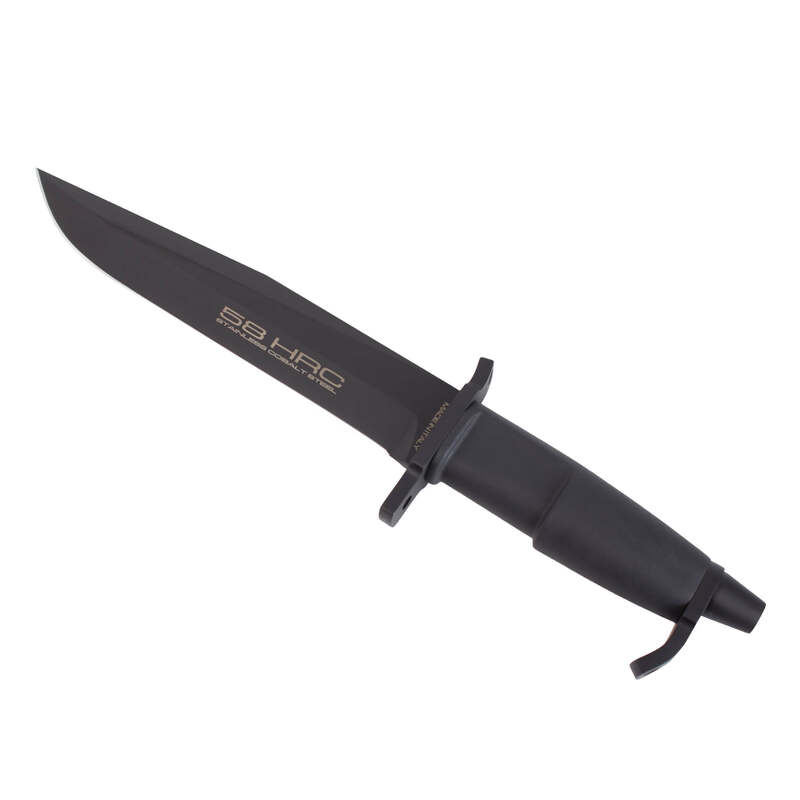 This model is inspired to a myth of the 80s survival cutlery. Now it can be easily disassembled. 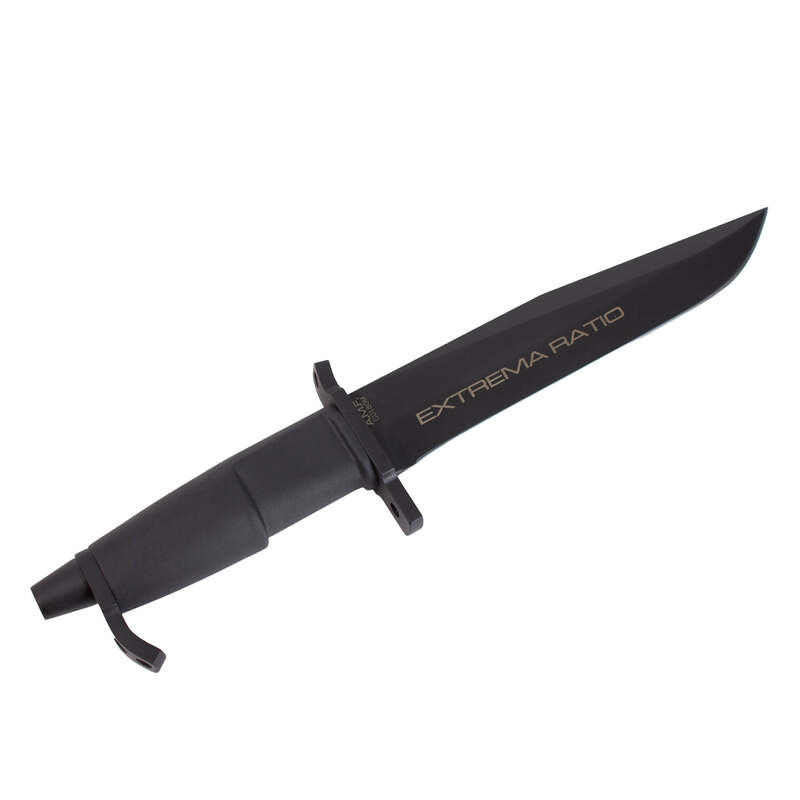 It comes in the classical Extrema Ratio black color. 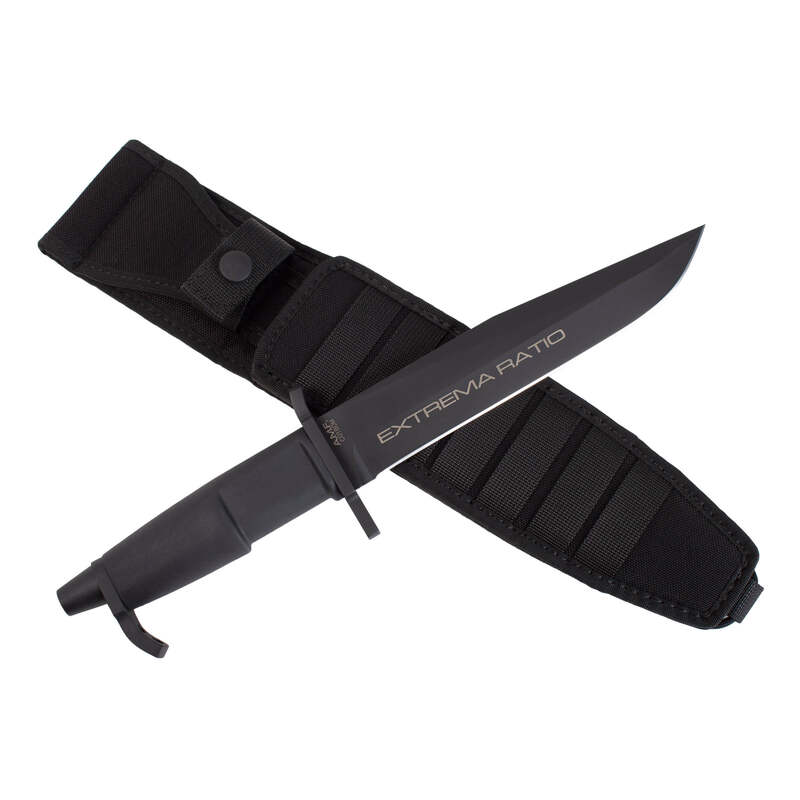 A basic survival kit (to be ordered separately) can be fixed to its cordura sheath. 04.1000.0485/BLK - - 372,00 €* Ausverkauft!